Queelister's Place: Things with Wings! 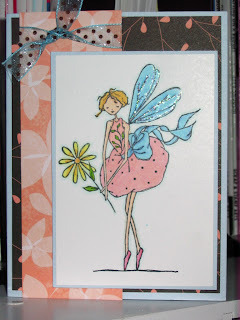 Here is a card I did for this weeks Paper Sundaes challenge, which is things with wings, isn't she just adorable! I'm also entering her into two other challenges, Crafts and Me where you have to create something for a girl and One Stitch at a Time, anything goes. 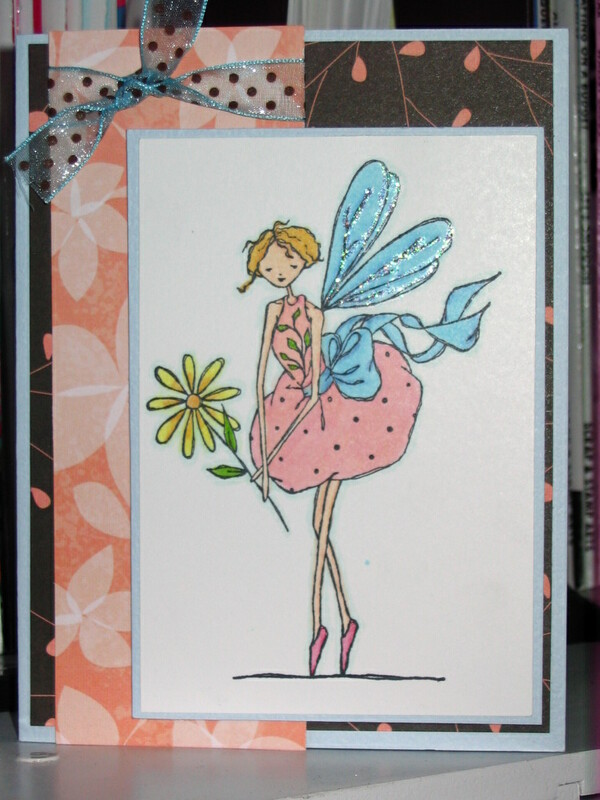 Very sweet card, that fairy is so cute! Thanks for joining us at Paper Sundaes this week!